Sunday is Groundhog Day. It's also the day I started dating my first serious girlfriend in High School. Oh, and it's the day of Super Bowl XLVIII. I got an email a few days ago to see if I'd like to try to turn my "ordinary ale" (which I love) into an "extraordinary elixir." Of course I was skeptical! How am I going to do that?? By making the Rusty Ale Beer Cocktail, of course. This beer cocktail is a take on the classic Rusty Nail cocktail where DRAMBUIE and Scotch are mixed and served over rocks. 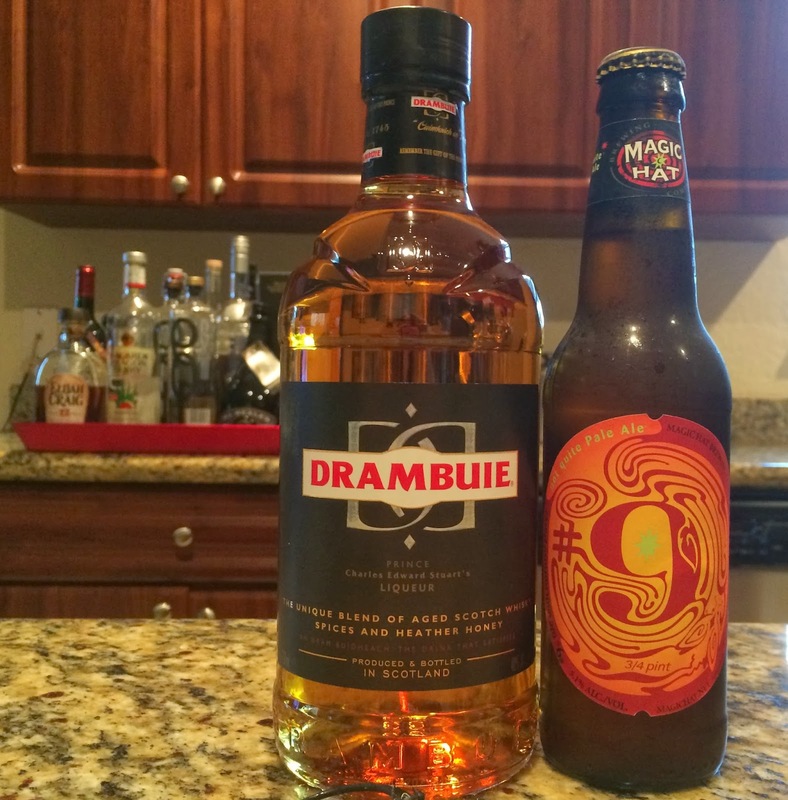 Instead of Scotch, a beer of choice is used with a shot of DRAMBUIE. I asked the agency that sent me the idea (and the bottle of DRAMBUIE) for suggestions on what type of "ale" to use. A pale ale and darker seasonal or just my favorite were suggested, so I used my imagination. The aroma is full of apricots and honey, and you know there's going to be a kick. Yeah, the flavors work very well together. The spices and honey and apricots could not enhance each other any more! 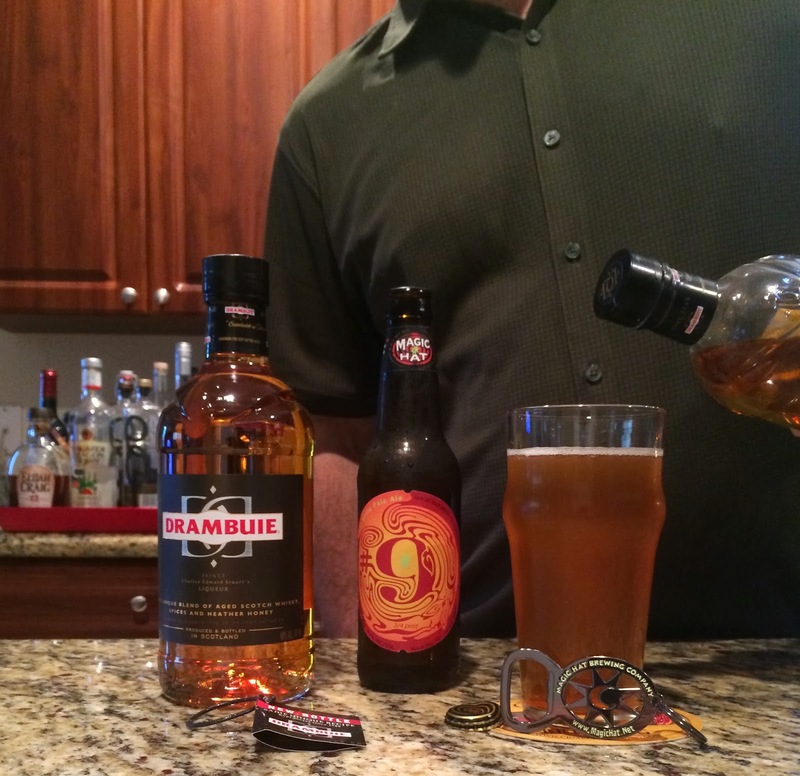 The carbonation from the beer was also very nice with the DRAMBUIE, making the flavors pop. As a final note-- nice whiskey kick along with a persistent sweet and herbal, tangy, spicy goodness. Finally, as you know, I always try to outdo the professional photos that arrive with the presentation. My picture is above (actually that's me in the photo; my 11 year old is the photographer). Below is the professional one. Which do you like better? Here's the beer cocktail recipe that I'm pretty sure even the most challenged of you can pull off. If you try it using a different beer, leave a comment with your impressions. 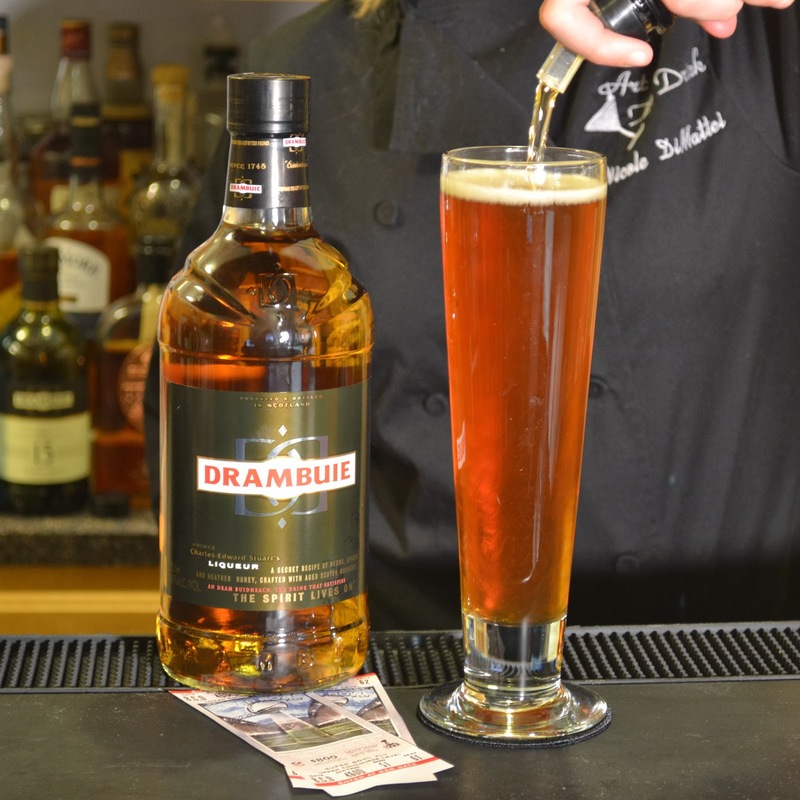 Pour DRAMBUIE into a pint glass and add your favorite Ale.